Rally Rd. isn't your typical Manhattan investment firm. Its 15 or so employees slouch in T-shirts and baseball caps in front of their computers. Framed photos of vintage Mercedes-Benz models – oversized for the narrow office – adorn the white walls and hanging gardens are due to arrive shortly in the mail. Another thing that sets them apart: The people at Rally aren't picking stocks and bonds. They're looking for mint-condition antique cars. Rally Rd. 's smartphone app, launched for iOS in late 2017, allows individual investors to buy shares in luxury and collectible vehicles. After swiping through glossy images on the app, a stake in your dream car can be had for as little as $38.80. The total prices, or "market caps," of the cars range from $77,000 for a 1977 Lotus Esprit S1 to $495,000 for a 1993 Jaguar XJ220 – sums that, if purchased in full, would be out of reach for many lay investors. "It just wasn't legally and technologically possible to invest in these alternative asset classes previously," says Chief Financial Officer Max Niederste-Ostholt. "We'd all been thinking about it for a long time and thought, when can we get into these asset classes without having a whole warehouse to store cars?" Rally Rd. 's founders, all in their 30s, include Chief Executive Officer Christopher Bruno, Chief Product Officer Rob Petrozzo and Niederste-Ostholt – who previously worked for Barclays Plc. Bruno came from a family of mechanics and "understood the asset class from the ground up," says Petrozzo, who had a scale model of the exact Jaguar XJ220 featured on Rally Rd. when he was 8 years old. 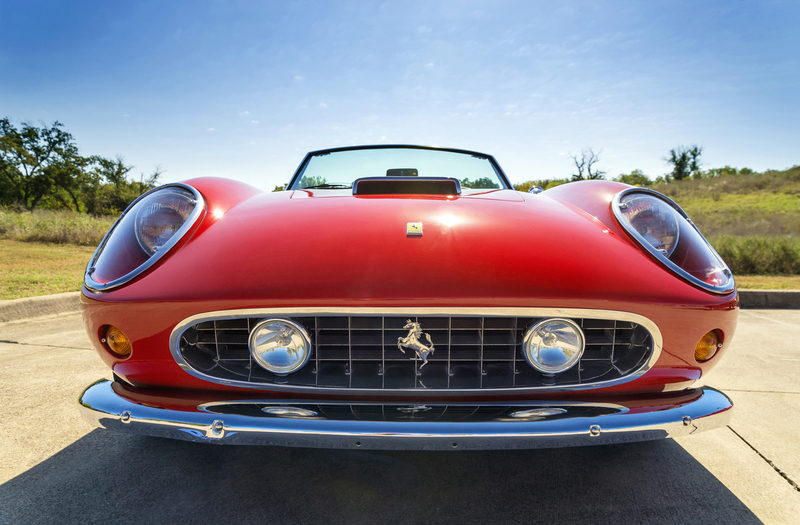 Their mission is to democratize collector car investment. Similar movements are also galvanizing the art world and cryptocurrencies, as more investors seek to diversify their portfolios and the digital era is bringing more transparency to what were traditionally exclusive clubs for well-heeled insiders. Rally Rd. saw an opportunity in the wake of the JOBS Act, first signed into law during the Obama administration, which allows small companies to sell shares to the general public without needing to be part of a major stock exchange. The offerings on Rally Rd. are all registered with the Securities and Exchange Commission, Petrozzo says. 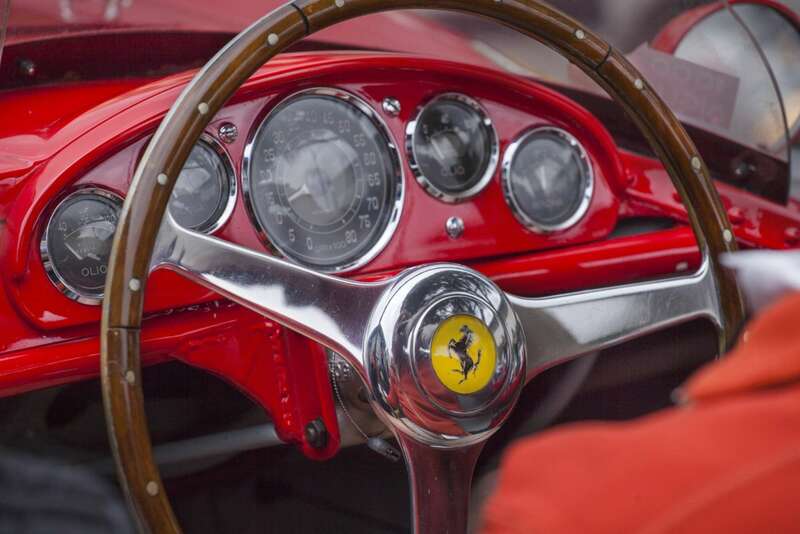 The three founders figured regular people shouldn’t have to miss out on the positive investment performance for classic cars, which, according to Petrozzo, has moved up and to the right for years. Classic car insurance company Hagerty says the value of bluechip classic cars has increased about 300 percent in the past decade. A concours condition 1983 Ferrari 512 BBi, for instance, more than doubled in value over the past five years, from $142,000 in September 2013 to $300,000 in May 2018. The value of the vehicle peaked in September 2015 at an estimated $360,000. Shares of the Ferarri will be available for purchase on Rally this summer at $175 apiece. A share in the 1985 Ferrari Testarossa, which is fully funded, cost $82.50. Howard Lindzon is the co-founder of the early-stage seed investment fund Social Leverage, which participated in Rally's $2.6 million initial funding round. He says collectible cars may become even more valuable in the next several decades, "in an era of Uber and potentially less cars." And for investors, the sleek mobile platform is a step up from early web-based financial services companies with clunky software and commission fees. Rally Rd. 's mobile app tempts investors with its sleek images of luxury vehicles. Recently it was a 1995 BMW M3 Lightweight, the only car on the platform open to invest in now, though five other vehicles have already been fully funded. The app provides users with specs – including mileage, rarity, manufacturing location and restoration details, where applicable – and then offers a simple yes-no proposition: to invest or not. "We wanted the look and feel to be exactly like all other equities," Petrozzo says. After securing the desired car Rally Rd. divides it into 2,000 shares, which can be exchanged in a secondary trading process. Rally Rd. 's first trading window for the 1977 Lotus Esprit S1 will open July 11. Each vehicle has a one-day trading period about three months after it's been funded, and then re-opens a month later. The goal is to make the trading periods more continual, and to implement a subscription tier to the platform, Petrozzo says. Without disclosing specific numbers, Petrozzo says Rally Rd. has thousands of shareholders and another 15,000 to 20,000 people waiting to join some of the startup’s forthcoming platforms, which include web and Android apps. For Rally Rd. shareholders, the motivation to invest is a combination of the aesthetic appeal of the vehicles as well as the promise of financial returns. Investors skew toward a younger demographic, Petrozzo says, averaging about age 26. Stephen Johnson has an investment portfolio that includes shares of Apple Inc., cryptocurrencies and luxury cars he purchased through Rally Rd. The 36-year-old Californian, who describes himself as a "car person," said he found Rally Rd. on Instagram last November. About 1 to 2 percent of his total portfolio is invested in cars on Rally Rd., split between a 1995 BMW M3 Lightweight, 1985 Ferrari Testarossa and 1988 Lamborghini Jalpa. "I was in my 20s when the recession hit, and of course that leaves a lasting impact in regards to how much money I'm allocating toward stocks in my portfolio, and wanting to look at some alternative asset classes as well," Johnson says. Thomas McLeod, who joined Rally Rd. in March, invested in a 1995 BMW M3 in part for the personal connection he had to the vehicle: He'd owned a standard BMW just after college but said he always wanted to upgrade to the high performance model. He invested in the BMW M3 Lightweight in June for $59.25 a share. "Now I have a little piece of an M3," McLeod said. "Even though now I don't even own a car, this is like another way to get there." Phillip Klein, head of the Fine Art & Collectibles group at management consultant Capco, says other platforms like the online art marketplace Maecenas have appeared recently to provide an avenue of access to alternative investments. 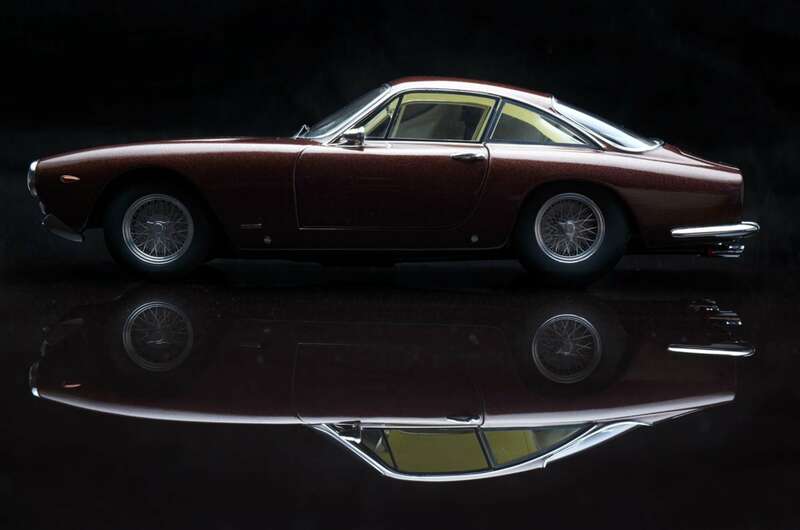 Art and collectibles like classic cars are intrinsically linked to society, making entry into such assets a symbol of class and status, he says. Rally Rd.’s cars come from sellers coast to coast – either through the company itself or via one of its advisers – who often don't want to go the typical route of selling their vehicles at auctions, Petrozzo said. "Most of them really love the thought of passing it on to the next generation this way because the market always used to be one-to-one, or one to a very small group," Niederste-Ostholt said. "We're doing one to many." Once the cars have been fully funded, they're taken to Rally Rd. 's temperature-controlled holding facility in Pennsylvania, guarded by a 24-hour camera and concierge. From there, Rally Rd. can bring the cars to events across the country, making them accessible to their investors and new potential shareholders – and creating a revenue stream to pay operating expenses of the cars and dividends to investors. Rally Rd., which isn't yet profitable, plans to close a funding round by the end of the summer and use the cash to expand to more markets and grow its offering of assets. Petrozzo says investors should expect to see shares of sports and political memorabilia up for sale starting around August.